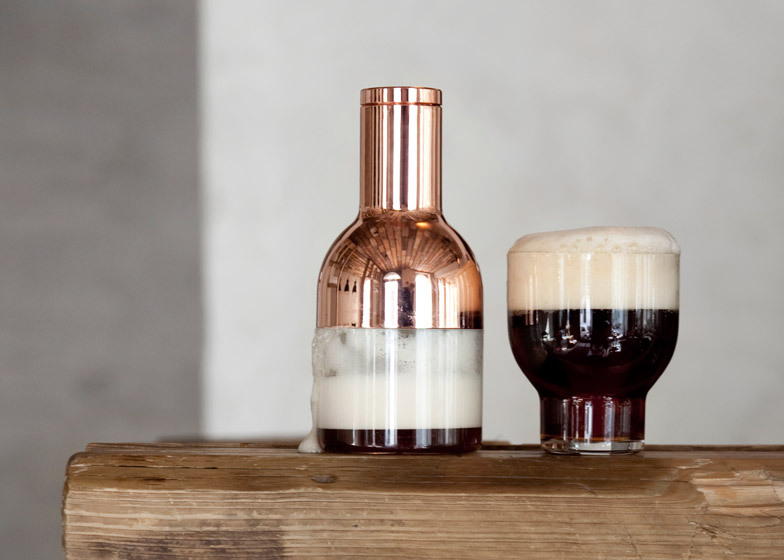 A new invention by Danish studio Norm Architects for Menu claims to make your favourite beer taste even better by whisking up beery foam you can pour on top (+ slideshow). 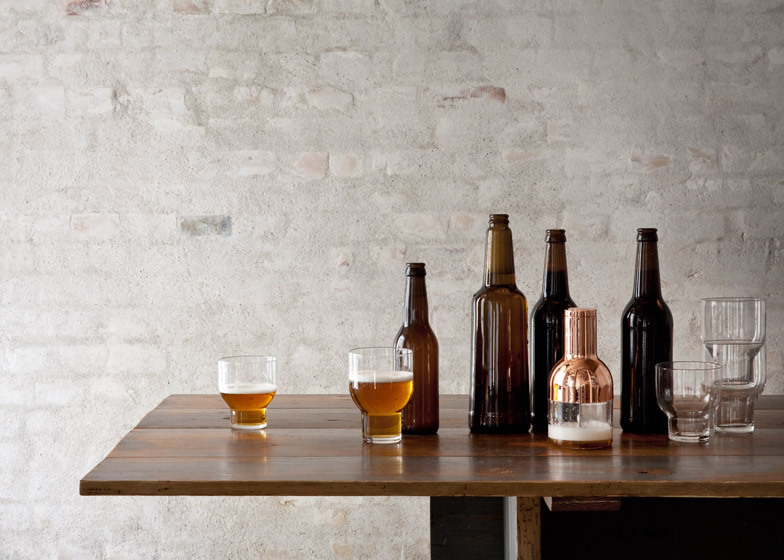 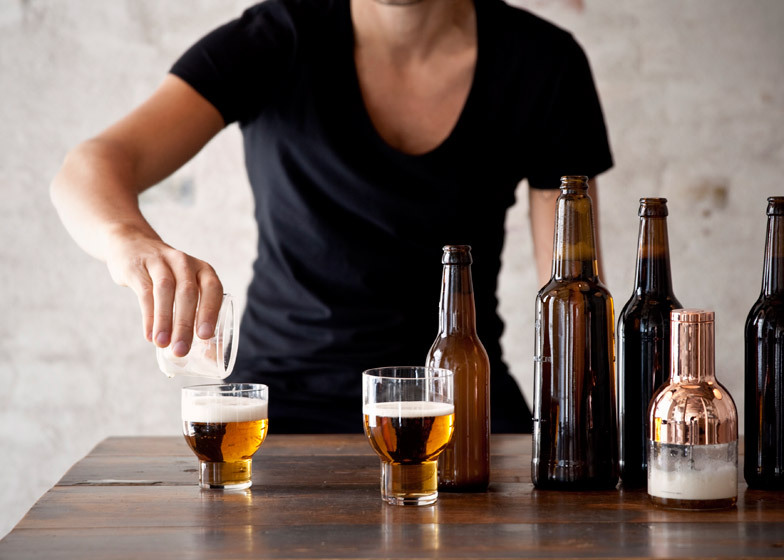 According to NORM Architects, beer connoisseurs often say that a foamy head on your beer will guarantee a better drinking experience, but this may not be the case if the drink is poured badly. 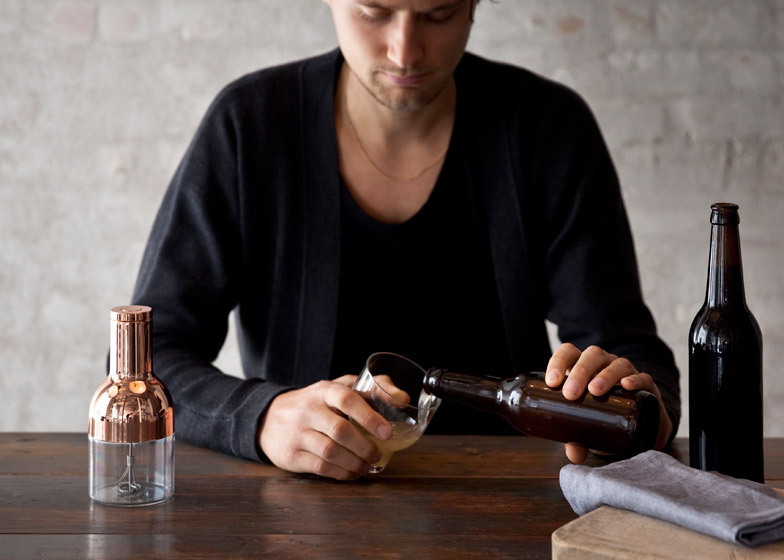 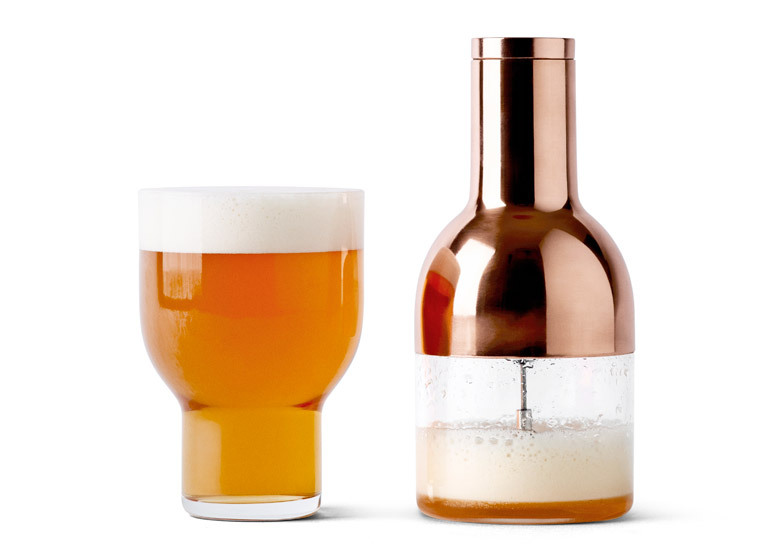 The Beer Foamer, designed for Danish design brand Menu, produces a denser head with a "better taste" by separating the creation of foam from the pouring process. 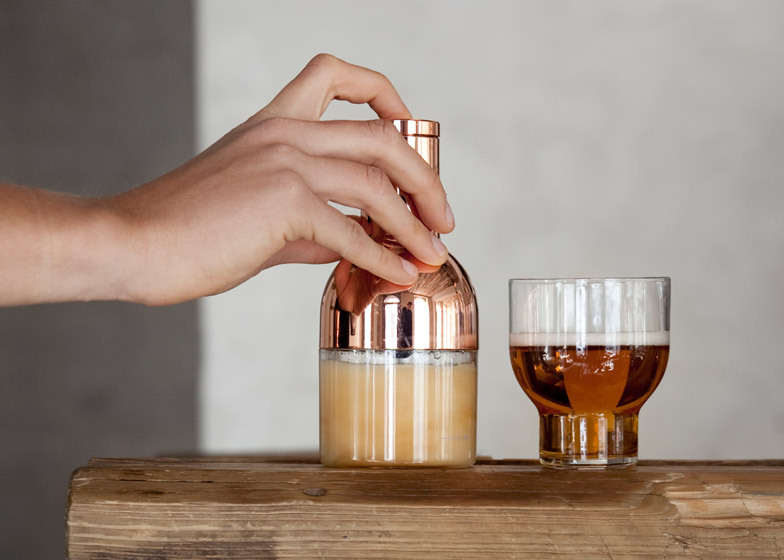 The device is used by pouring approximately one centimetre of beer into the bottom of the transparent glass container, pressing the button and waiting 20 seconds while a battery-powered whisk froths up the liquid. 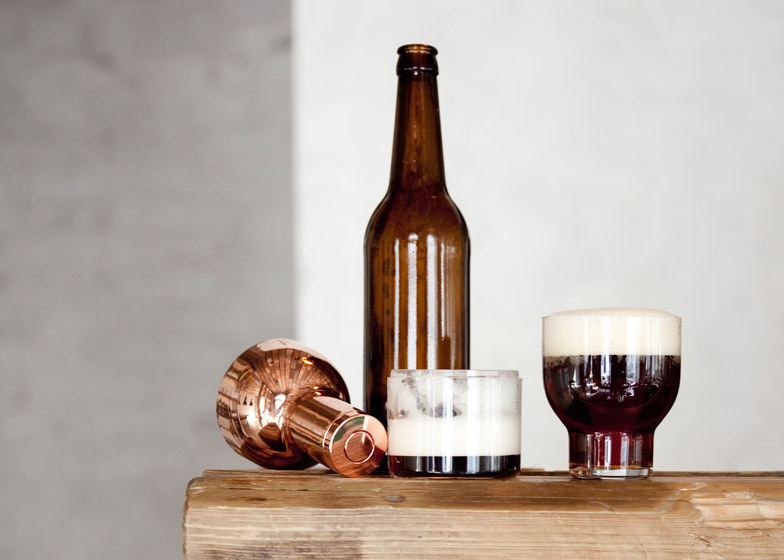 Once the foam appears, it can be gently added on top of beer that has already been poured into a separate glass. 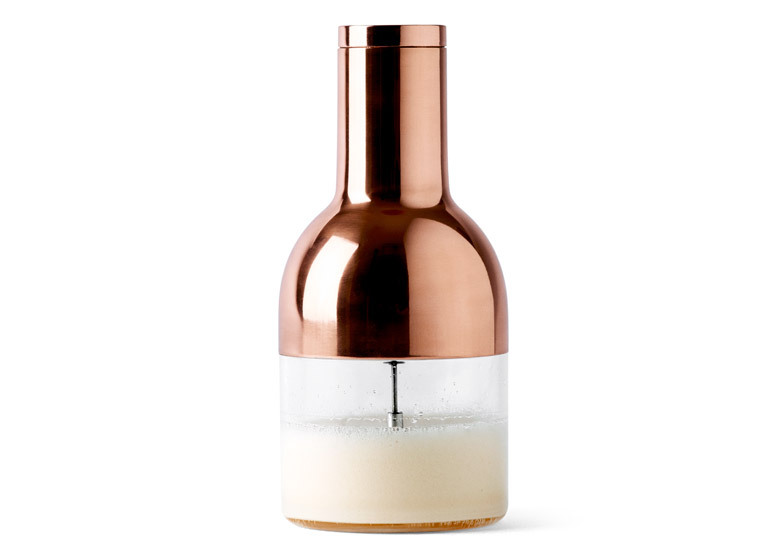 "Everyone knows that wine gets better if you decant and 'prepare' it in the right way," stated the studio. 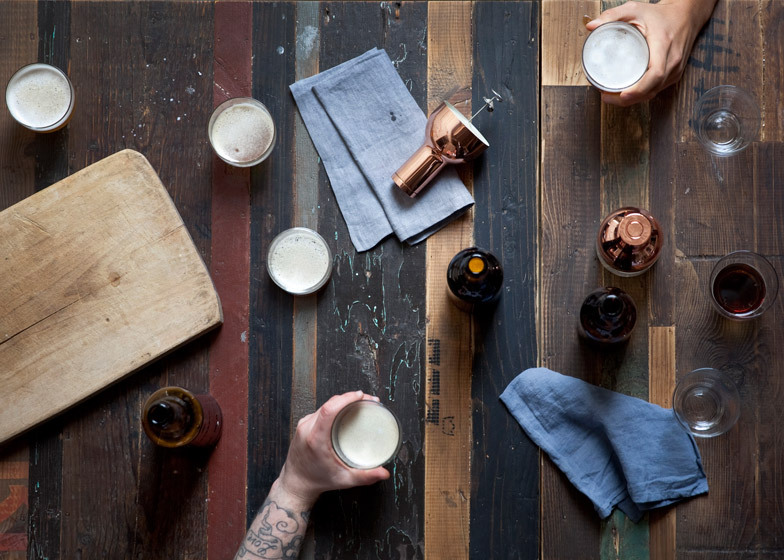 "Now we'd like to show the world that beer also deserves some special treatment... and that it can actually get even better." 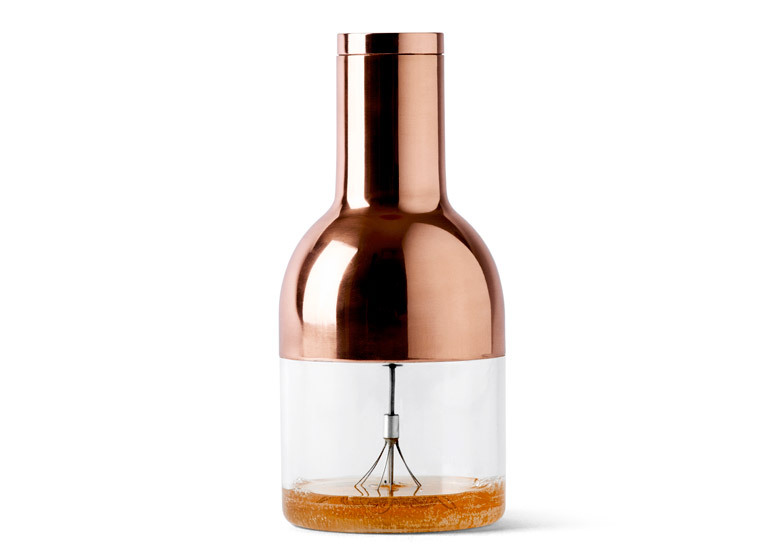 The copper-plated top on the Beer Foamer takes inspiration from the large boilers used in old beer breweries, while the bottom container is made of shatterproof glass. The product is due for release in May. 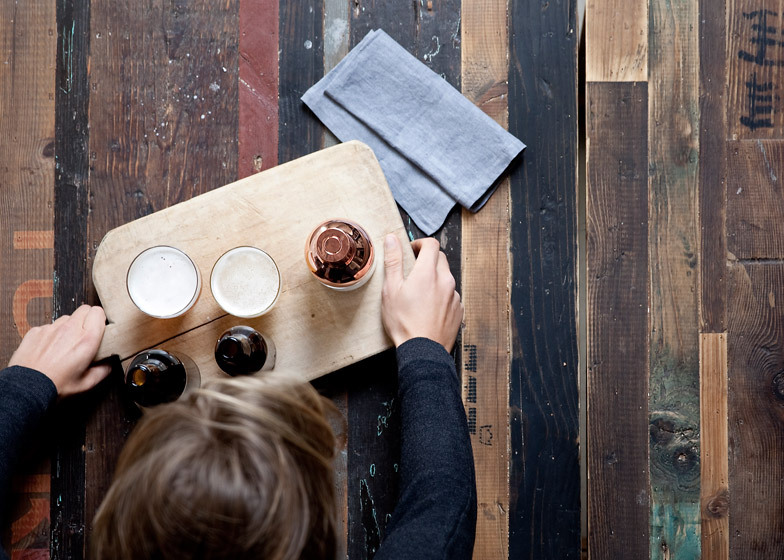 Norm Architects and Menu previously worked together on the interior of a rustic-styled restaurant in Copenhagen.